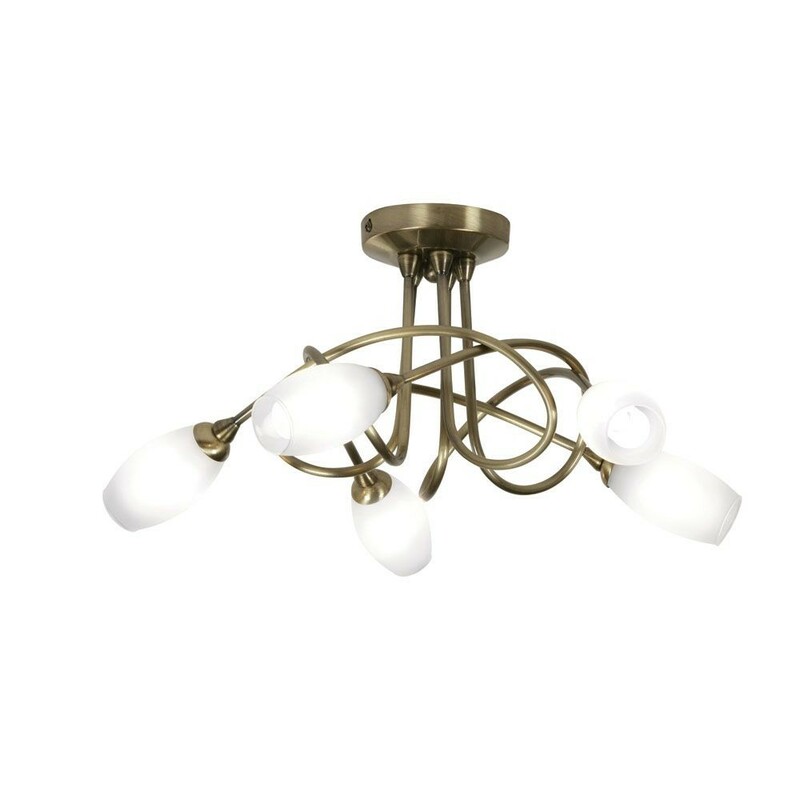 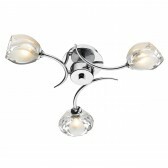 The Tara 5 light ceiling light from Oaks, shows an unusual design, semi flush fitted the elegant design shows looping arms with white glass shades. 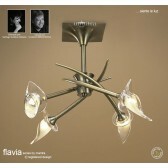 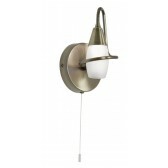 Shown in a classy antique brass this light is also available, in mirrored black and chrome. 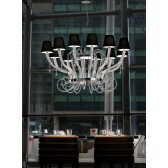 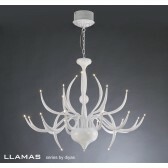 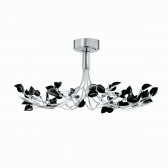 Ideal for any home, it is also suitable for lower ceilings. 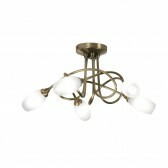 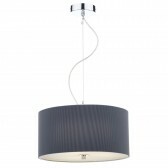 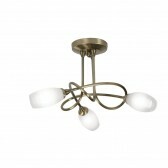 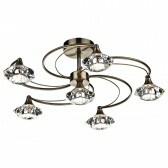 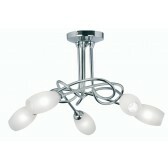 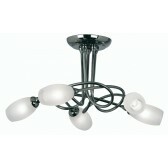 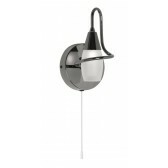 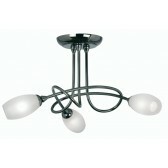 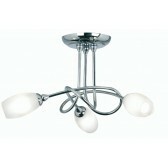 This fitting is available in the 3 light, with a matching wall light.